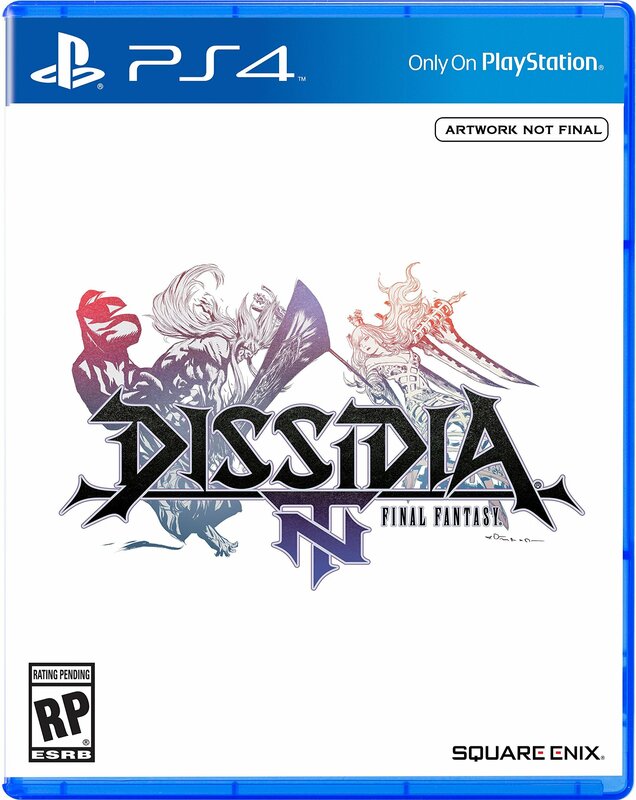 Dissidia Final Fantasy NT features a huge cast of characters from across all of the mainline Final Fantasy games in the entire series, including spin-offs like Final Fantasy Tactics. 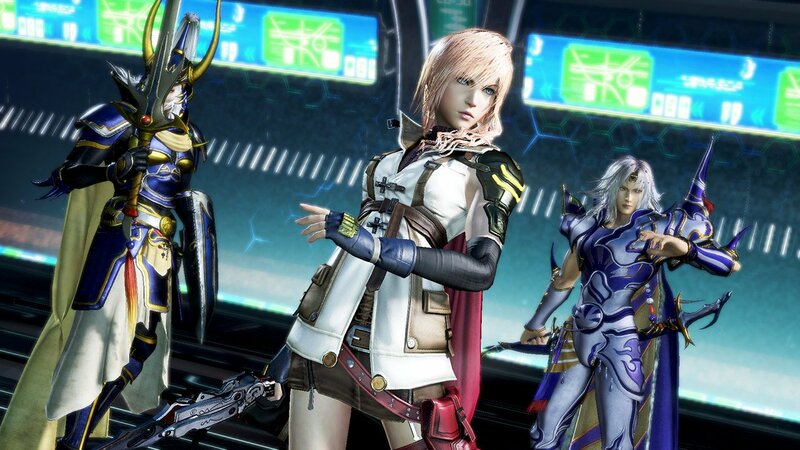 The most popular characters of the whole series are all represented here, including Lightning from Final Fantasy XIII. 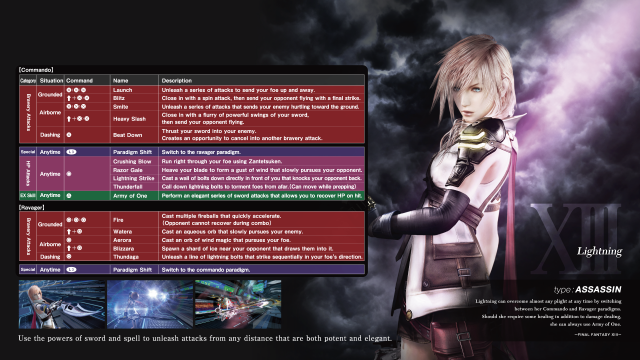 As such, it is important to know everything about the Dissidia NT Lightning moveset if you’re looking to play as her. In this game, you fight in teams of three against an enemy team of three characters. Whether it’s online or offline, you’ll want to know what the Dissidia NT Lightning moveset is like to best maximize your fighting potential. We’ve spent quite a bit of time with each of the characters, but this guide is focused on the star of Final Fantasy XIII: Lightning. Let’s get started with our Dissidia NT Lightning moveset guide. Let’s begin our Dissidia NT Lightning moveset guide by explaining what type of character Lightning is. The game categorizes her as an Assassin-class fighter, meaning that she is quick on her feet and has a ton of great combos, but lacks the power of a Vanguard. However, Lightning is one of the most versatile characters, able to switch on-the-fly between her Commando and Ravager roles that Final Fantasy XIII fans will remember well. As a Commando, Lightning plays very much like an Assassin; dishing out quick combo attacks. With her agility, the best Dissidia NT Lightning moveset is to dash towards your opponent, press X to use Beat Down on them, continue it with mashing X for the Launch combo, then extend it with a Heavy Slash (up+X, X). Now, let’s dig deeper into the Dissidia NT Lightning moveset for her Ravager side. As a Ravager, Lightning becomes more like a Marksman than an Assassin. She uses a lot of magical projectile attacks that let her fight from afar. Unfortunately, this comes at the cost of damage output. As such, we highly recommend using this when teamed up with melee teammates, for putting distance, and for recovery. Fire is a great skill to start with that allows for a quick escape or dash towards your enemy. If you’re really in a pinch, Aerora will pursue your enemy and give you a swift opening for escaping or a chance to switch back to Commando. If you are almost down and out, you can recover with the EX skill Army of One by pressing triangle. This skill allows you to recover HP with each hit on your opponent.